New turbocharged engines have more power and torque. As impressive to drive as ever with great everyday comfort alongside superb balance in corners. Still sounds and feels like a normally aspirated 911. Turbo models are phenomenally quick but also incredibly expensive. This 911 probably represents the biggest change to the iconic Porsche in decades. Not because of any daring alteration to the looks - as you can see, this is merely a nip and tuck of the version launched in 2011 - but because of the changes under the bonnet. 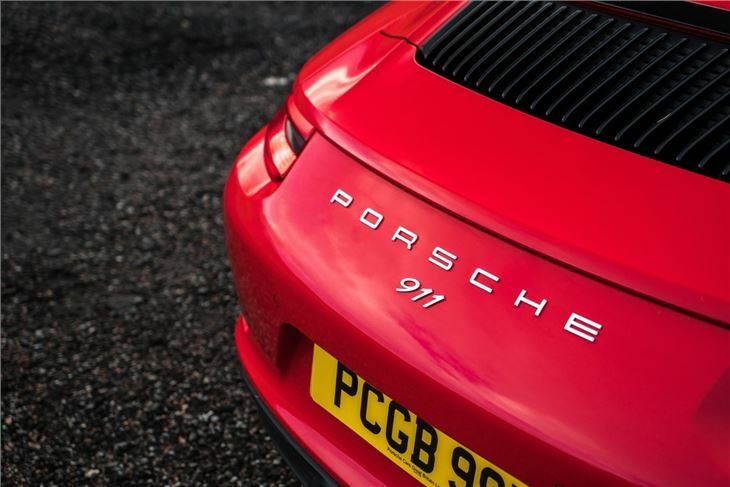 Porsche has ditched the normally aspirated engines that have until now powered the 911, replacing them with a new 3.0-litre engine fitted with twin turbochargers. So on paper this provides more power and better economy than the old 3.4-litre and 3.8-litre engines. 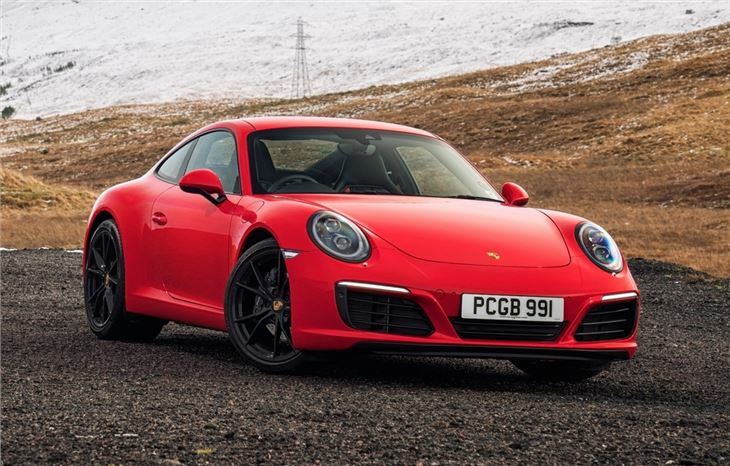 As you can imagine, this has set alarm bells ringing for Porsche purists, but get behind the wheel of this generation 911 and you'll discover that the addition of a smaller turbo engine only brings benefits. It's still a flat-six engine with that distinctive sound and, while you can hear a faint bit of turbo whistle when accelerating, it's not an unpleasant or intrusive noise. And the performance benefits more than outweigh this. There's better response from low down and thanks an easier gearchange, the 911 is now even easier to drive in city traffic. 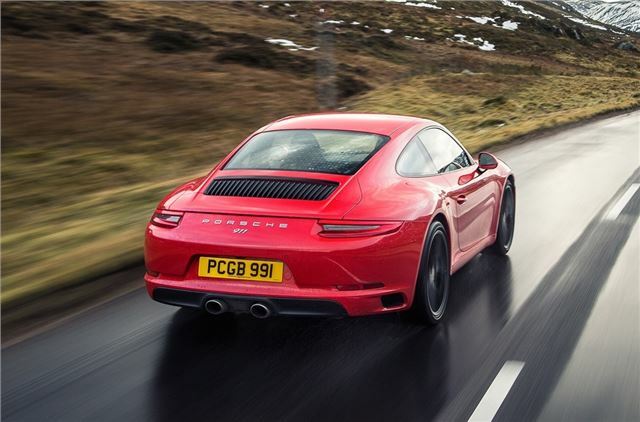 This all round ability has always been what's made the 911 so impressive and popular. And this 911 continues in the same vein. It's just as happy pottering around town as it is tackling a series of enjoyable corners. Make no mistake, this is still a serious performance car, it's just one that happens to be very comfortable and useable everyday. The handling is as sharp as ever. 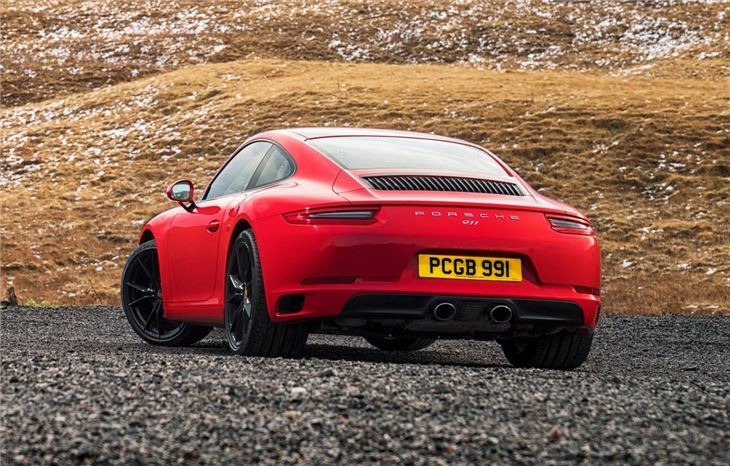 This updated Carrera also sits 10mm closer to the road and features Porsche Active Suspension Management (PASM) as standard, designed to improve handling with variable performance modes. 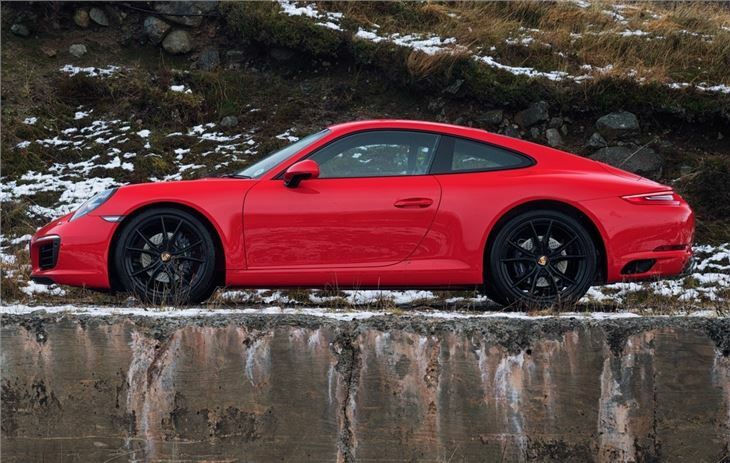 The Carrera model has 370PS and manages 0-62mph in 4.2 seconds, if you go for the PDK gearbox. 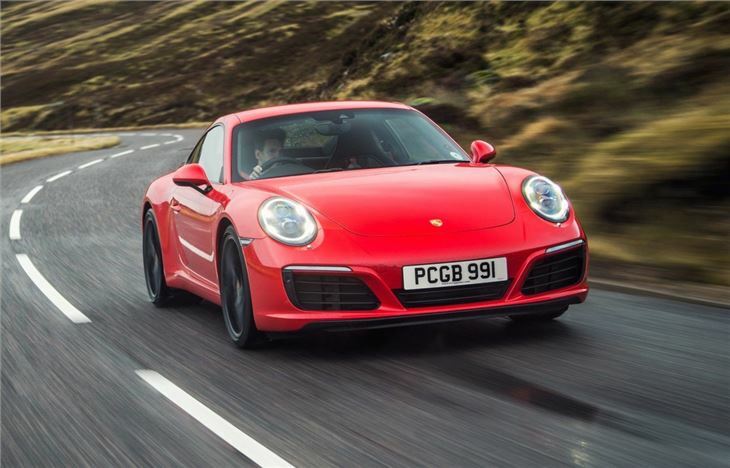 That's hardly slow but the Carrera S is the one to go for if you can afford it. It develops 420PS and takes less than 4.0 seconds to get to 62mph. Economy is unlikely to be a priority if you're buying a 911 but it has also improved with the manual Carrera averaging a claimed 34mpg. The 911 may not be the most exclusive performance car around. In fact it has become a common sight compared to alternatives like the Jaguar F-Type or an Audi R8. But there's a reason for that. It's arguably the best all-round performance car on the market and has proved hugely popular. Don't let that put you off though - the 911 is easy to own and always a joy to drive.